Shana tova! When I first began leading services, 25 years ago, our Shabbat prayerbook was Gates of Prayer. Over time, my book began to fall open to the pages I used every week. 318. 442. 446. 615. 629. I utilized these pages so often that, eventually, the binding of my book actually broke, and the book lay flat for those prayers. When our current Shabbat siddur, Mishkan T’filah, was published, I felt a bit overwhelmed by the new design and liturgical updates. There are still things that trip me up, such as the revised text of Aleinu. Yet, a decade later, this book’s binding has also become broken, and falls open at the pages I turn to most often. 120, 138, 162, 371, 586, 598 – candles, L’cha Dodi, V’shamru, Mi Shebeirach, Aleinu, Mourner’s Kaddish. There’s an easy comfort with these pages that my eyes and hands now know so well. As we begin to learn our new machzor, Mishkan HaNefesh, Sanctuary of the Soul, we may again feel a little bit lost, a little bit overwhelmed, by all that is unfamiliar. We like to feel comfortable, to say words that come easily and automatically to our lips, sing the tunes we’ve known forever, practice the rituals that are familiar. These all evoke feelings of nostalgia, ease, and warmth. We know we CAN change, and that at times we MUST change, but we don’t necessarily embrace change with glee. It is so much easier for things to stay the same. This is a machzor that does not invite you to sit back and remain unmoved. In preparing to bring this machzor to our community, and to develop services that would feel familiar but also innovative, I read and researched widely. I learned from the editorial committee and from those who piloted it in their communities. 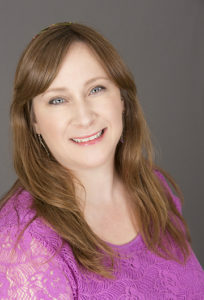 I studied the myriad resources the Central Conference of American Rabbis, the Reform Movement’s rabbinical authority, developed to ease the transition. To be sure: you don’t need to know how a car’s motor works, nor have an advanced degree in engineering, to be able to drive one. Similarly, you may not feel the need to understand the philosophies, theologies, or liturgical and design choices the editors considered for you to be able to follow the service. But I think it helps to consider the diligence with which decisions were made, and to understand why some things are as they are, to fully appreciate the remarkable book you hold in your hands. The editors prepared a vision statement to guide the design of these books. Their hope was that this would be a machzor which “inspires Reform Jews to participate in the multifaceted experience of the Yamim Noraim – the Days between Rosh Hashana and Yom Kippur – from feelings of awe to moments of solace, from the solitude of contemplation to the solidarity of song and worship.” It was their desire to honor tradition, incorporating elements we’ve come to know and love, but also to create something contemporary which offers far greater accessibility. In these books, just as in our Shabbat prayerbook, everything is transliterated, right on the same page as the Hebrew text. No more flipping to the back of the book, or to a separate handout, to be able to sing or pray along with the leaders in Hebrew, even if you, like the majority of American Jews, are not fluent in reading Hebrew texts. These books contain language that is gender neutral, offering more welcoming and inclusive texts for both men and women, as well as those who identify in non-conforming ways. This machzor embraces multiple ways of understanding God and Judaism. One worshipper (me) may respond most to evocations of human potential. Another (perhaps you, or someone with a more traditional background) may like all the royal court imagery of God as King which we inherit from an era of kings and emporers. So the book gives us options, knowing, as we all do, that God is no more literally a king than literally an ever-flowing stream, a rock, or the software of the universe. We are offered a variety of ideas to ponder. We, and the machzor, reach for metaphors to somehow make vivid what we know we cannot fully understand. 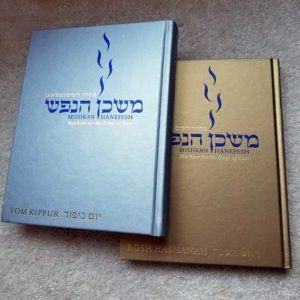 These books reflect the page structure found in our Shabbat prayerbooks, with white pages containing traditional Hebrew prayers and translations on one side, and alternative readings and interpretations on the facing page. But they are richer still – these books also have grey pages filled with tangential and thought- provoking readings and poems, and blue pages, meant for study and learning and deeper exploration. These books offer us visual elements as well. Beautiful woodcuts adorn some pages; typefaces were carefully chosen for both their practical readability and aesthetic enhancement. So, let me take you on a guided tour of just a few significant changes our new machzor offers us. First, the shofar service. In the classes I taught leading up to these high holy days, I asked participants about the role of the shofar at Rosh Hashana. Their responses were overwhelmingly that the shofar was central to their experience of Rosh Hashana. The editors recognized this, and sought to give the shofar service its due prominence. Therefore, instead of the shofar service relegated to the end of the morning prayers, where we are usually rushing and abridging the service due to time constraints, it is now spread out in three separate sections, each focusing on one of the central aspects of shofrot. The first, honoring God’s sovereignty, appears in the midst of the Amidah section about holiness. The second set, coming at the end of the Torah service, tells us of God’s remembrance of us and the righteous deeds of our forebears. The final set, offering hope for our future, comes near the end of the service as we prepare to go forward into the remaining Days of Awe with renewed vigor and resolve to repair ourselves and our relationships. This separation of the three Shofar sections allows us time and space to devote our thoughts and energy to the shofar’s call to awaken, to rouse ourselves, and to return to our better selves and to our Creator. Next, the Shema. Each time we encounter the Shema, we are offered varying kavannot or intentions. Each time, there are readings directly before the Shema, as well as intentions and notes from our sages that can enrich our understanding and expression of these words, so central to our faith. Therefore, each time we chant Shema, you will be given a few moments of silence before or after the chanting, to meditate on your own thoughts or to consider the ideas on the page. Another change is in the Yizkor service. The service has been expanded significantly, and will likely run about an hour long. We will be given more guided and focused time to reflect on our loved ones, and to meditate on their lives and our own. There will be a great deal more music, silence, and the lighting of seven Yizkor candles. This is a service meant to engage all of our senses. My first experience teaching religious school was with 3rd and 4th graders in a middle class suburb, and they were the most compliant, easy, delightful children I could imagine. As my teaching expanded that year to include slightly older and younger kids, I was able to tweak my teaching style and classroom management skills to rein them in. A few years later I began teaching music to toddlers. Despite using my most engaging tone of voice and age appropriate songs, the children were a very difficult, frustrating audience. They would look blankly at me as I encouraged them to sing along, they would inspect their fingers and hands instead of imitating my movements for finger plays, and sometimes, they’d just run around the room, or chat or laugh or even cry. About four weeks in I approached my director and offered my resignation, disheartened that I was not reaching the children. “What are you talking about? she asked, “You’re doing a wonderful job!” She went on to explain that, even though the children might not be singing with me or aping my actions, they were very much taking it in, absorbing or thinking about it at their own pace, coming to their own personal integration of the material in their own time. Historically, Reform Jewish worship was designed to be orderly and formal, in direct contrast to the seemingly chaotic prayer services of traditional worship, where everyone davens at his own pace, shuffling and mumbling aloud but not in unison. Today, we still often expect a congregation to be utterly unified in prayer, but this is simply not the reality. Like people of ALL ages, we sometimes are focused, but sometimes our thoughts drift. We chat with neighbors and family, we might laugh a bit, and we might even cry now and then. At times we will sing or read or pray or meditate in unison, but often we find ourselves somewhat out of step, thinking other thoughts or counting the remaining pages. Here is a machzor that understands and supports us in our need to stand apart from the crowd now and then. Rabbi Bogage and I have selected material that speaks to us, but our choices may not always speak to you. If you are drawn to a different passage than the one we are leading, you are welcome to digress. You may find yourself interested in a particular commentary, intrigued by a study text, or drawn to a meditation. We encourage that. Prayer is a ladder on which we rise from the self we are to the self we wish to be. The introspective nature of these holy days lends itself to your personal exploration of the book, to find those elements that enrich your experience of Rosh Hashana and Yom Kippur. Throughout our services, you are invited to take detours, to go deeper, to spend time in thought, not recitation. It’s my hope that, by incorporating familiar prayer and musical elements alongside newer passages and songs, our initial foray with Mishkan Hanefesh will be one that is mostly comfortable but also stimulating and provocative. It’s also my hope that the length of services will be similar to what we’re accustomed to. But this first time through – please forgive me! It’s very hard to figure. More significant than length, however, if there are elements that you love or hate, I hope you’ll let me know afterwards. Your responses will be vital to developing these services in years to come. I wish to thank all who contributed their time and funds to making this transition possible, and also to thank all of you for joining together on this journey. We welcome you to Mishkan HaNefesh, your new sanctuary of the soul. Enter, and use it well. Explore as we make this place and this moment holy. May you each find meaning and fulfillment, provocation and something, in its pages, and may we each be blessed, individually and as a community, as we step together into this new year.